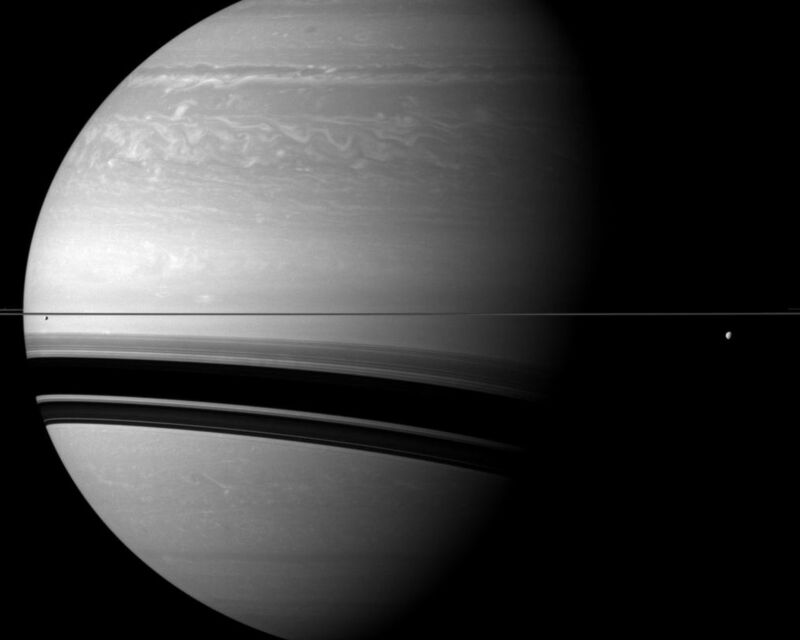 Compared to the gas giant, the two moons shown on either side of Saturn seem particularly small in this Cassini spacecraft view. 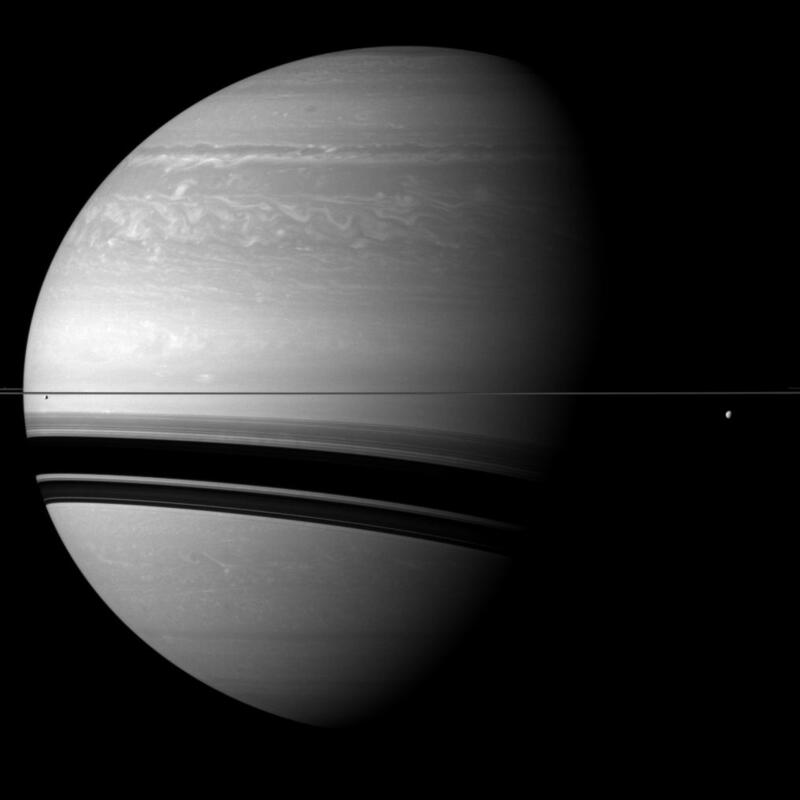 Tethys (660 miles, or 1,062 kilometers across) is on the right of the image, below the rings. 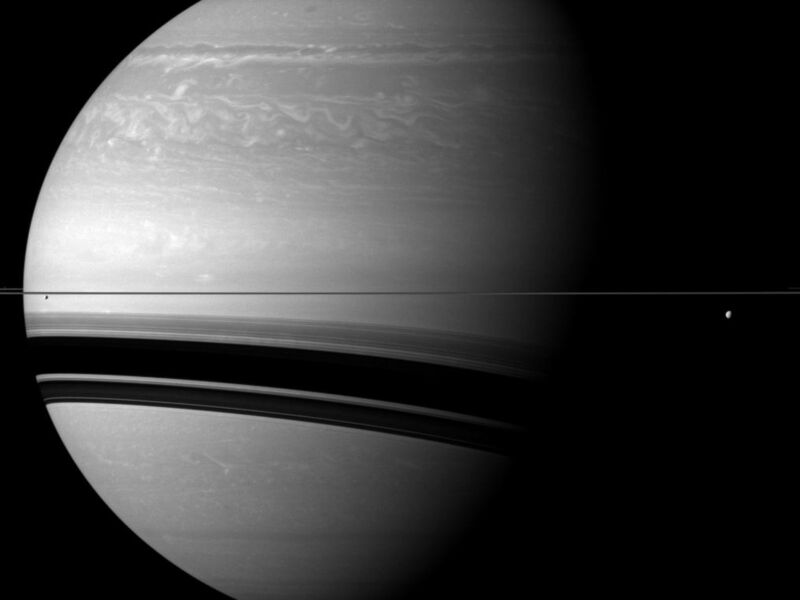 Smaller Enceladus (313 miles, or 504 kilometers across) is on the left of the view, below the rings. Pandora (50 miles, or 81 kilometers across) is also present in this view but is barely visible. It appears as a small grey speck above the rings on the extreme left edge of the image. Pandora has been slightly brightened by a factor 1.2 relative to the rest of the image. 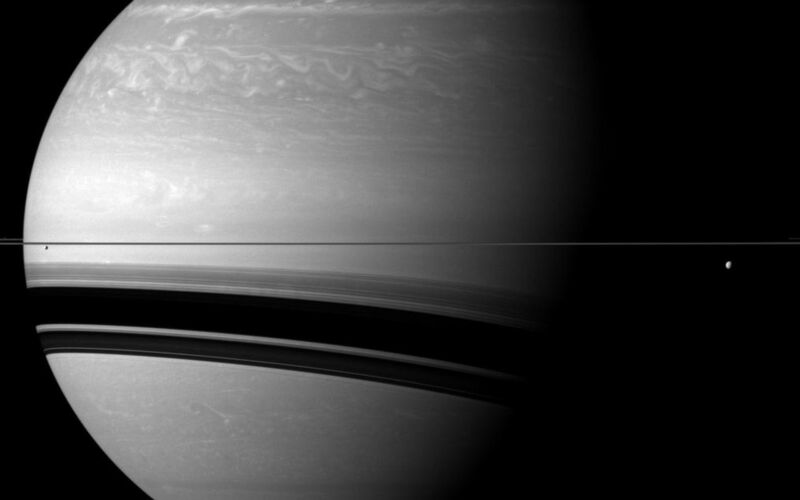 This view looks toward the northern, sunlit side of the rings from just above the ringplane.